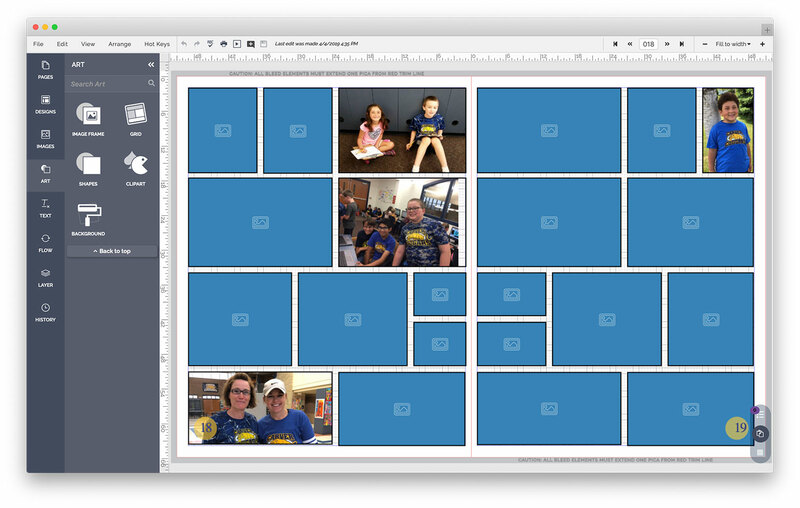 The next-level easy-to-use yearbook creator. 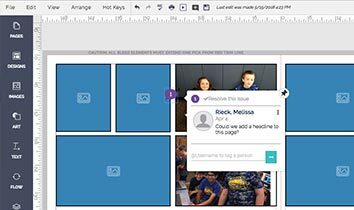 Our new yearbook designer streamlines the page creation experience – allowing the designer to create a fun and inclusive yearbook easily without the time and technical knowledge of traditional page design software. Our software is powered by Jostens, the leader in yearbook technology. 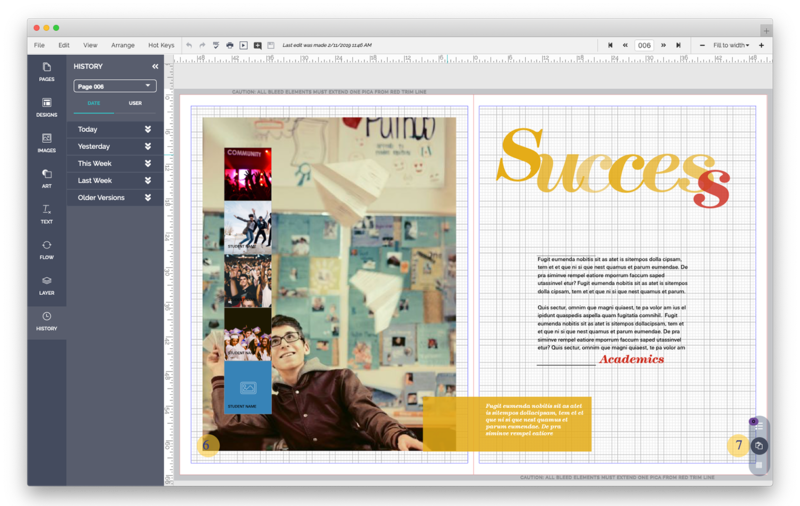 The new yearbook designer is jam-packed with features that you’ve come to expect, with the ease you’ve craving. With hundreds of templates, thousands of clip art pieces and font favorites, there’s no stopping creativity. With its iPad and Chromebook friendly design, the yearbook creator is mobile optimized for use on any browser-enabled device. Yearbook anywhere. Anytime. On any device. Our flow functionality takes the work out of flowing classroom pages and portraits pages. Simply select a template or design your own and our flow features will automate the rest. Notes and notifications make tracking edits and collaborating with staff members a breeze. Add notes, assign staff members, and track changes all in one place. 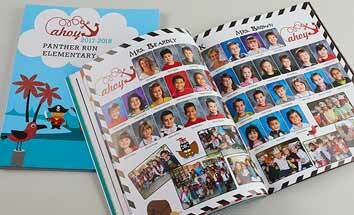 Create a yearbook that looks like it took weeks to design instead of days. Use our professionally designed yearbook templates, theme pages and yearbooks covers that are ready to use for your yearbook. Saving your pages is a critical step in the yearbook creation process. But, if you’ve made a change since the save that you regret, you can always step back into the past. We track and save each edit into the History Panel, where you are able to restore a previous session. Our data security and moderation tools make us the most trusted partner in celebrating the moments that matter. We are COPPA and FERPA compliant. Teachers and schools own the content. We protect your information and we don’t sell your data.